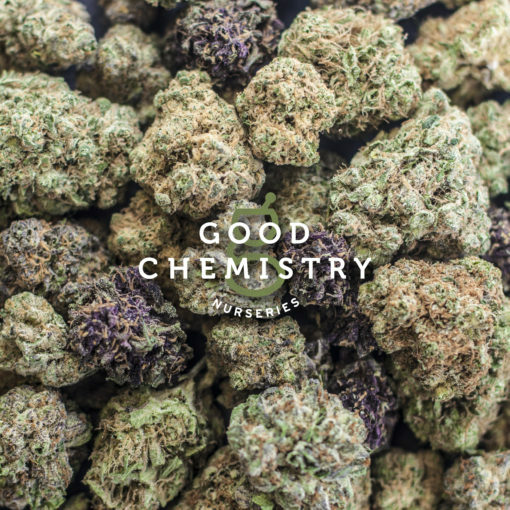 The cannabis industry is inextricably grounded in the cannabis plant, and if you were to judge the latest business to enter Nevada’s medical cannabis market by their commitment to the plant, Good Chemistry Nurseries couldn’t be a better company. About the same time Nevada voters approved a ballot initiative to legalize the adult use of cannabis, Good Chemistry Nurseries CEO and founder Matthew Huron announced the launch of a new Reno production facility that will service medical and eventually adult-use dispensaries throughout the state with distinctive flowers and concentrates. A quick look at the Good Chemistry website reveals a stunning array of strains in active cultivation. From an intriguing Columbian Gold ’72 to exclusive strains Mr. Good Chem and Ingrid, Good Chemistry brings a deep plant catalog to Nevada patients, not just in the form of buds, but their concentrates focus on plant purity too, with Cold Water Hash, Dry-sift, and a much anticipated solvent-less rosin. Good Chemistry Nurseries is deeply rooted in the medical tradition of cannabis cultivation and allegiance to the plant’s ancient attributes, but clearly, as Nevada’s adult-use market opens, and medical licensees are given first access to the general public, these flowers and simple line of purity-focused concentrates will likely drive the same adult-use success Good Chemistry has seen in Colorado.